Wash and peel the beets. Chop into medium-thick wedges. Once the water is boiling, toss in the steamer until beets are tender, about 10 minutes. Remove from heat. 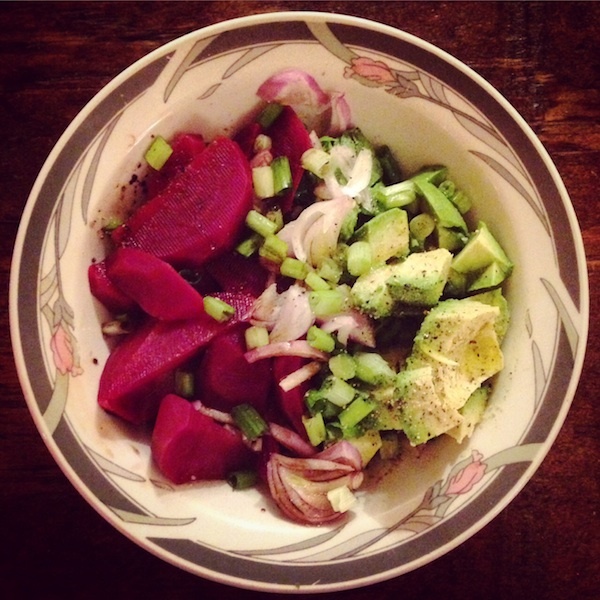 Chop the avocados and chives and thinly slice the shallots. Place all ingredients in a couple of bowls and drizzle with Olive oil, Balsamic vinegar and Agave nectar. Add a dash of salt and pepper to taste.